As most of us know, Hercules is a Roman hero and god. He was the equivalent of the Greek divine hero Heracles, who was the son of Zeus (Roman equivalent Jupiter) and the mortal Alcmene. In classical mythology, Hercules is famous for his strength and for his numerous far-ranging adventures. The art at the top of this post is Hercules fighting the Nemean lion by Peter Paul Rubens. 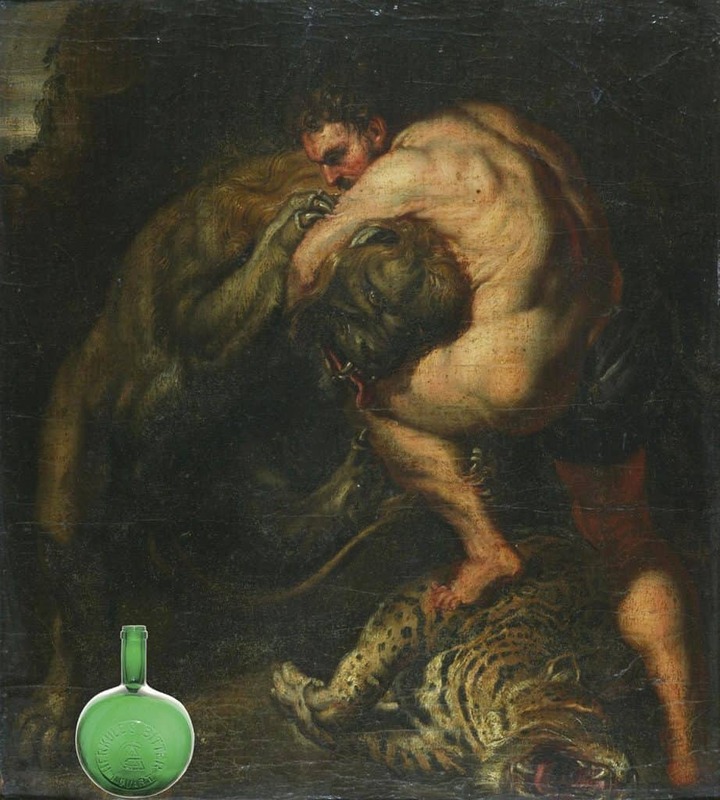 In bitters collecting, we have the Herkules Bitter. 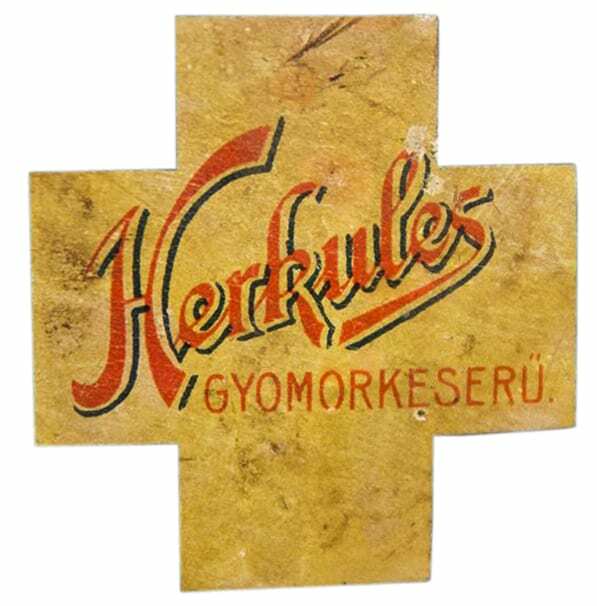 Note the use of a “k” in Herkules and the absence of an “s” in Bitter. With the “k”, that is simply the German spelling. 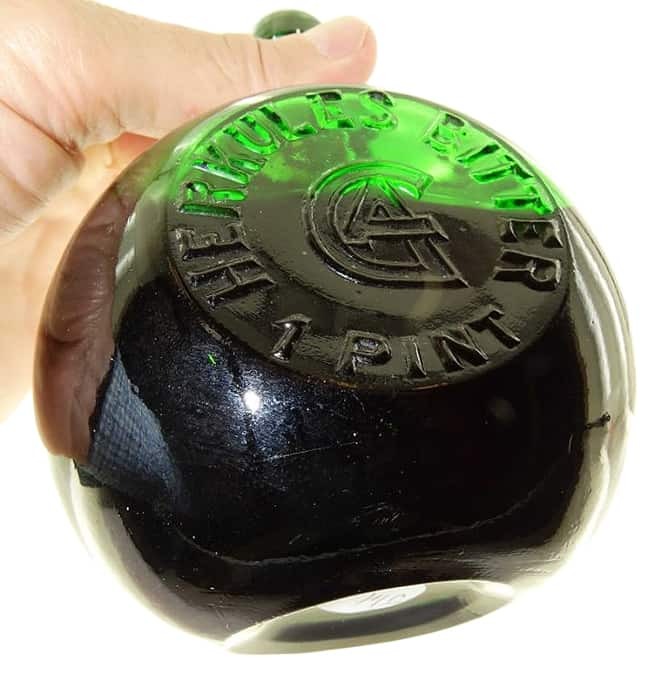 Most bitters collectors consider this a bitters even with this “s” anomaly. 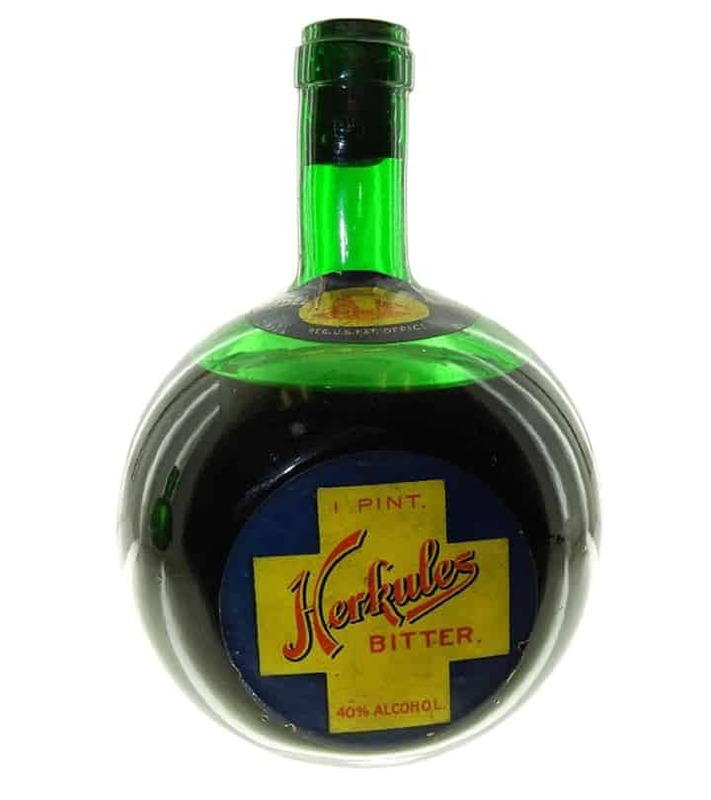 Additionally, an advertising clip below uses the word “Bitters”. I added a quart example from the Stuart Elman collection to my collection back in 2002. 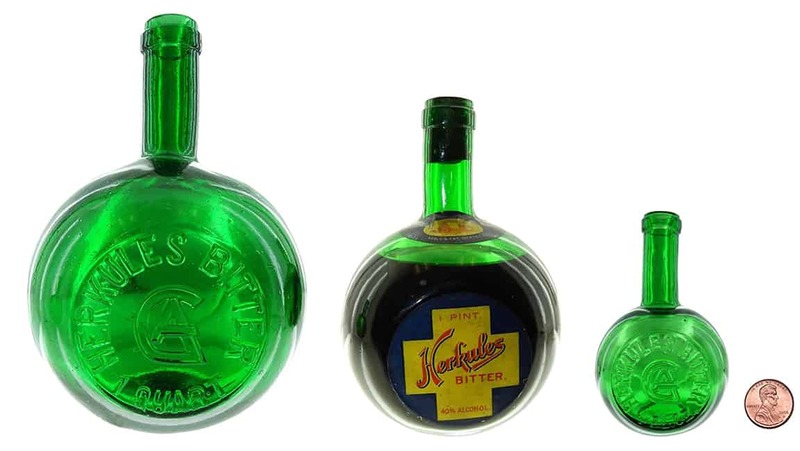 I had not thought about this bottle in years until I saw three different sizes show up in a recent American Bottle Auctions Auction #64. The middle size is unlisted. Each is represented in this post. Pretty amazing that the concoction was 40% alcohol! Note: Trade mark No. 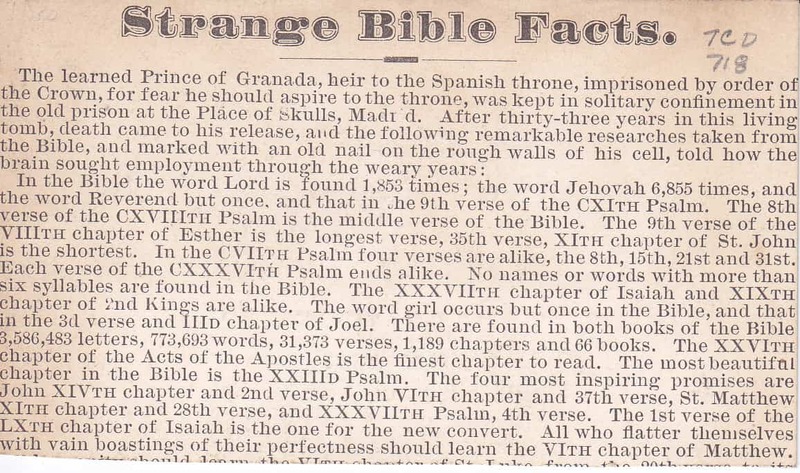 2034 dated October, 1874 by J.C. Street and Edw. Caverly, New York. 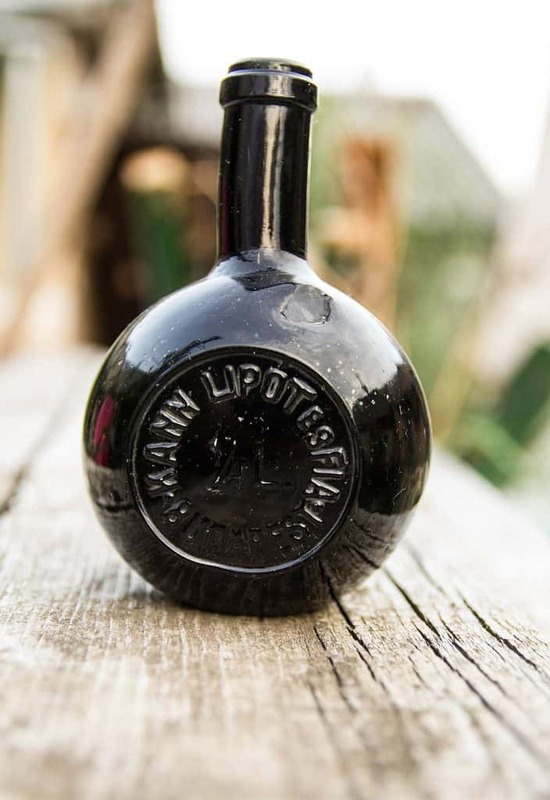 Most known examples have been found in northeastern, Pennsylvania. Lettering on flattened area of body. 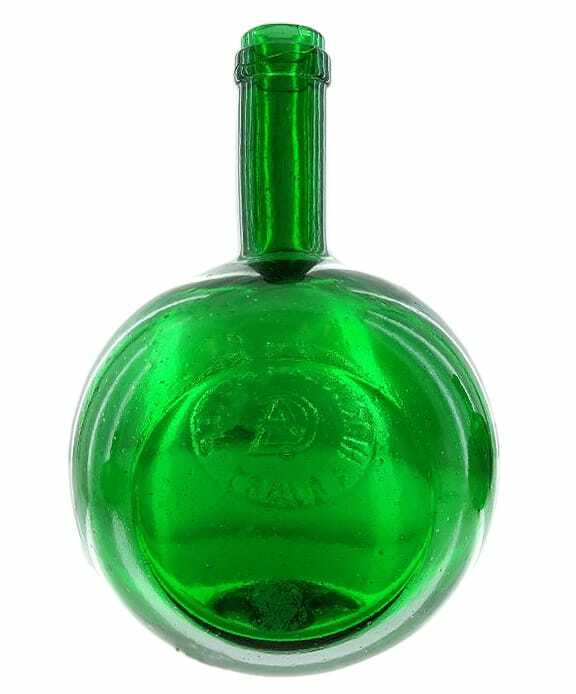 Note: There is a Polish language version of this bottle. The brand was put out by a fellow named Joseph C. Street. His partner was Edward Caverly. Looks like they set up shop at 33 Murray Street in Brooklyn, NY. They filed for a trade mark in 1874. You can find both gentlemen listed in city directories that in 1873 and 1874. 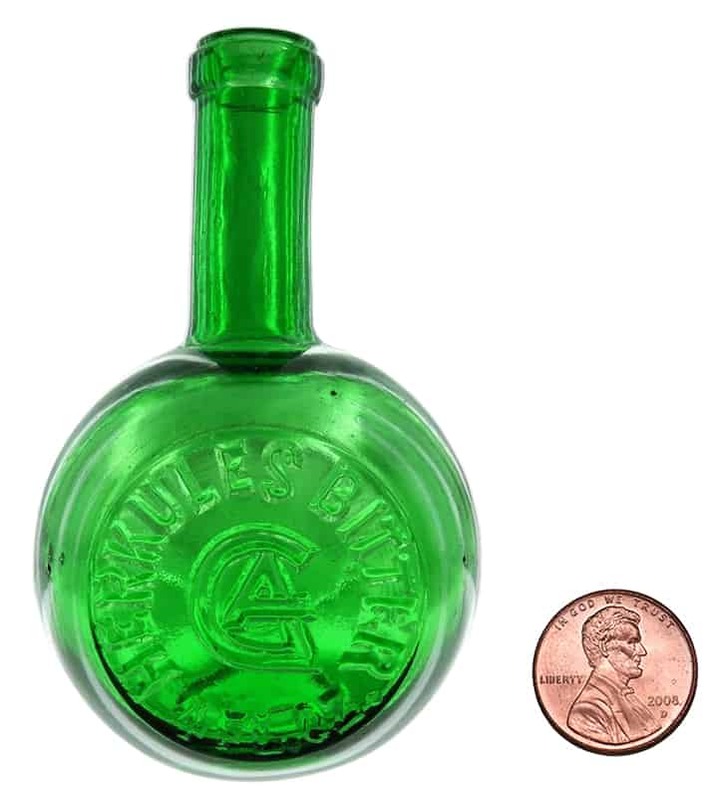 The product was probably marketed to European immigrants by looking at the lable. Ring & Ham notes that there is a Polish language version of this bottle. Here is a picture below of a version from Hungary. 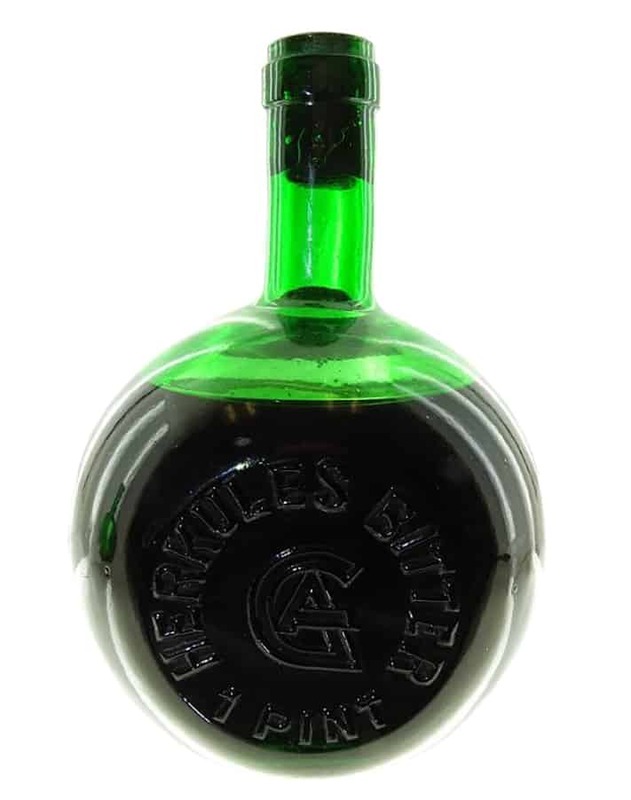 Gyomorkeseru means bitters. There is also a German and French targeted advertising. Interesting enough, Ring & Ham note that most known examples have been found in northeastern, Pennsylvania. 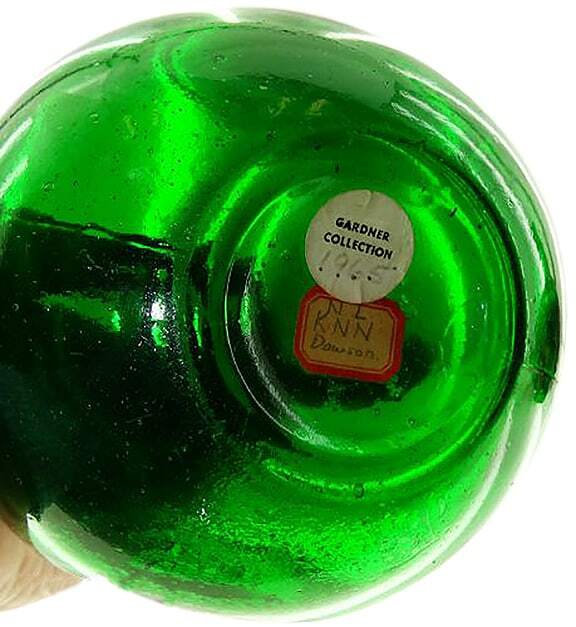 Part of me wondered if this bottle was imported though advertising says it was manufactured in Brooklyn. The mystery here is the embossed monogram. Looks to be a “GA” or “AC” etc. Any ideas? 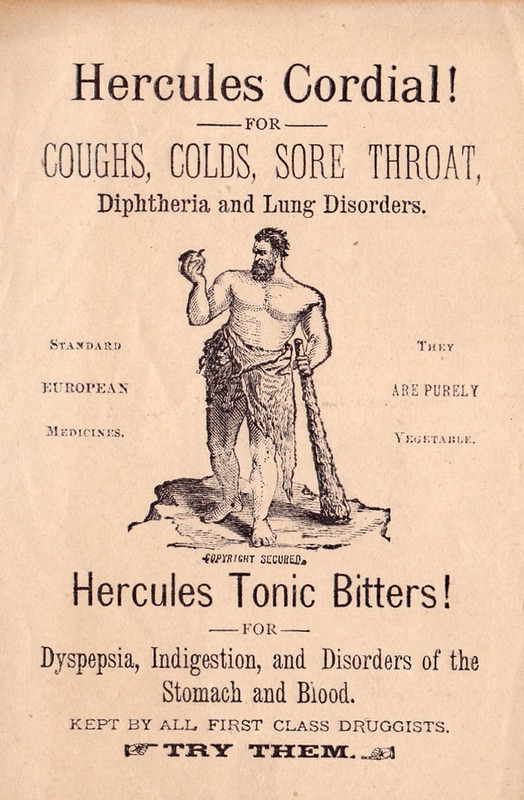 This question was solved by Corey Stock who submitted the following newspaper advertisement for Tonic De Hercules. 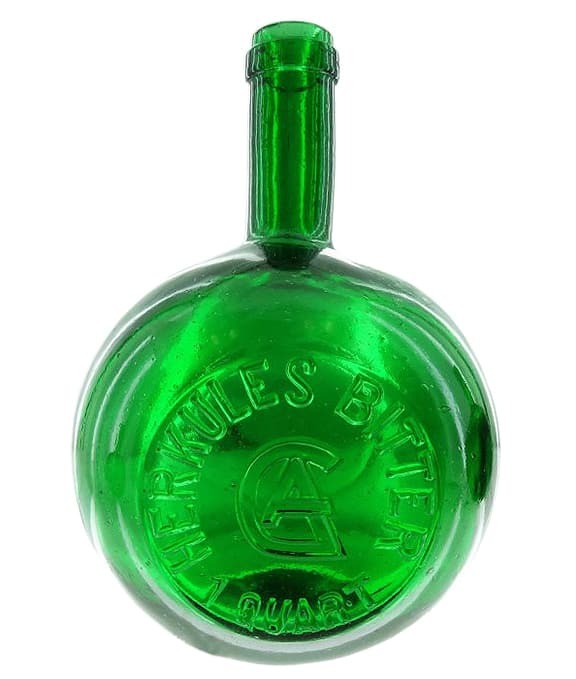 “GA” is most likely “German Apothecary”. 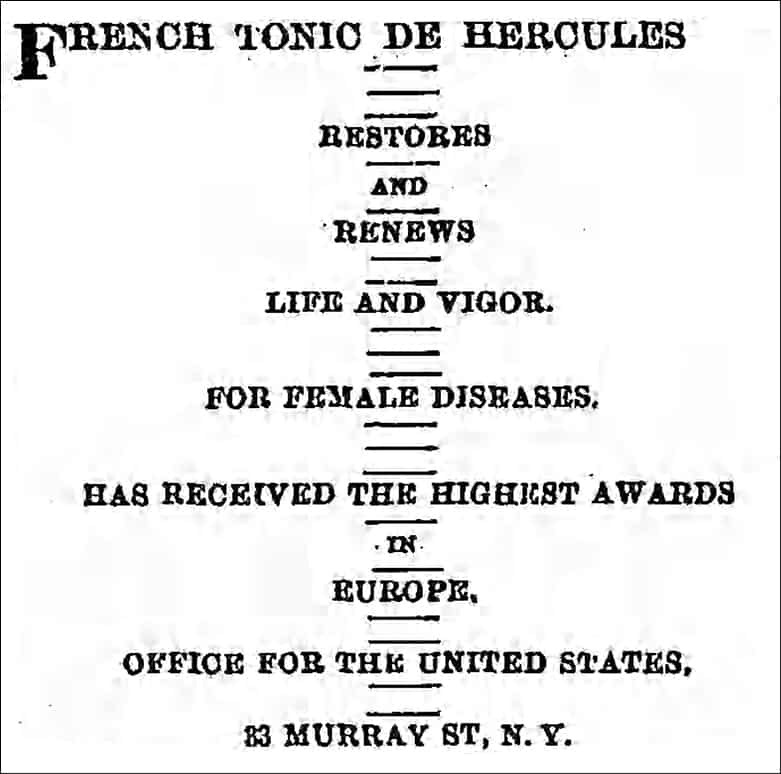 Tonic De Hercules (Bitters) advertisement: The Brooklyn Daily Eagle, 18 April 1874. Here is a another advertisement. It seems like all references for this brand only occur in 1874. 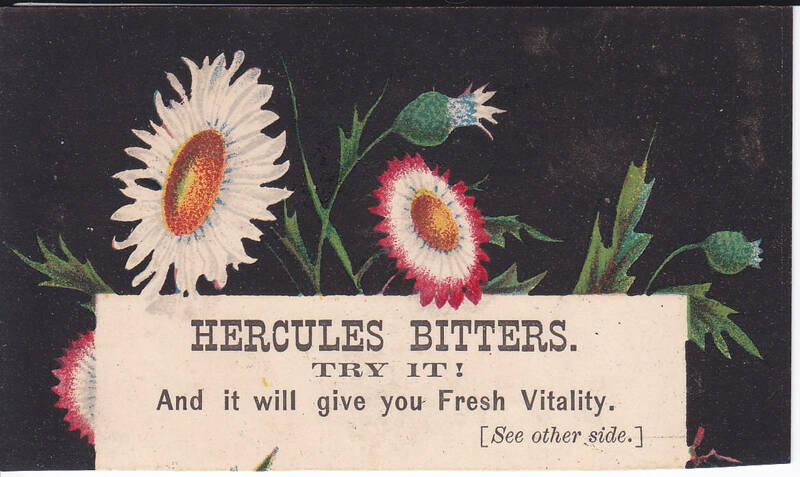 Here are two advertising trade cards for Hercules Cordial, Hercules Tonic Bitters and Hercules Bitters from ephemera specialist Joe Gourd. I don’t believe this is the same brand but who knows, it could be. More research is needed. 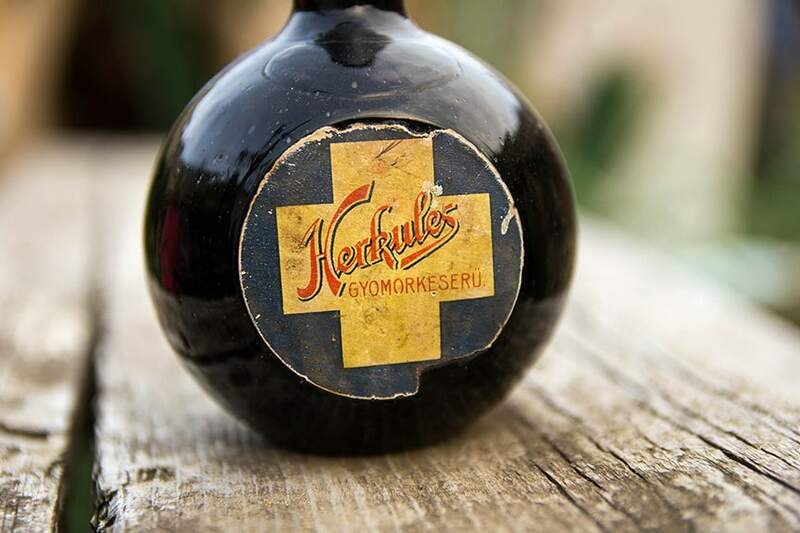 There is reference to this brand in 1902 in a druggist catalog.